Strawberries, strawberries everywhere just now and gorgeous redcurrants too. 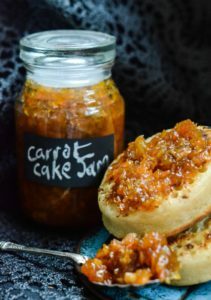 This strawberry and redcurrant jam brings both of these gorgeous red goodies together in a jam that is just perfect for toast, scones or spreading inside a simple Victoria sponge cake. For those new to the land of preseerves a cheese is not to be confused with the dairy product of the same name. A fruit cheese like this Spiced Cherry Cheese is a firmer version of jam often served with cheese and crackets etc.